Australian readers - Did you manage to squeeze in Friday and enjoy a four day long weekend? I just love when public holiday's fall close to a weekend. This week's Cider Sunday features a Magners Apple Cider from Ireland. I didn't actually choose this cider, Pete brought it home and suggested I use it for Cider Sunday. Cider Selections w/ berries & peach is part of a new range launched in Australia last October just ahead of Summer. Mind you, we haven't had much of a Summer here in Australia thus far. The Selections range also features Irish pear cider with ginger and apple cider with orange & honey. Interesting to say the least. The Australian division of Suntory- the guys famous for Midori, are brand ambassador for this range of ciders. 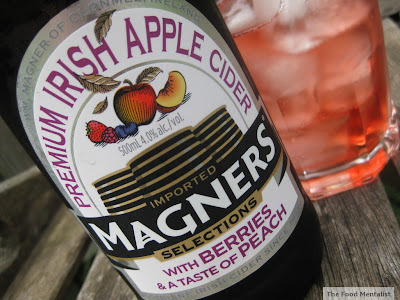 Magners have been making cider since 1935 and it is now the number one cider in the UK, also available in 17 countries. Interestingly, Bulmers Ltd. are the manufacturers of this cider. First thing I noticed when I opened this bottle was the subtle aroma of peach. 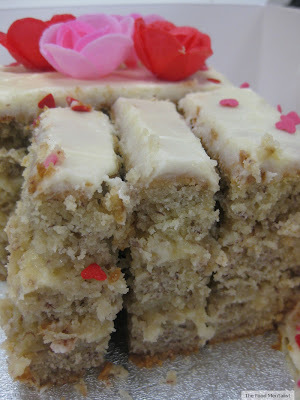 It's pinkish hue is almost identical to that of a lovely drop of rose' and it is very very refreshing. 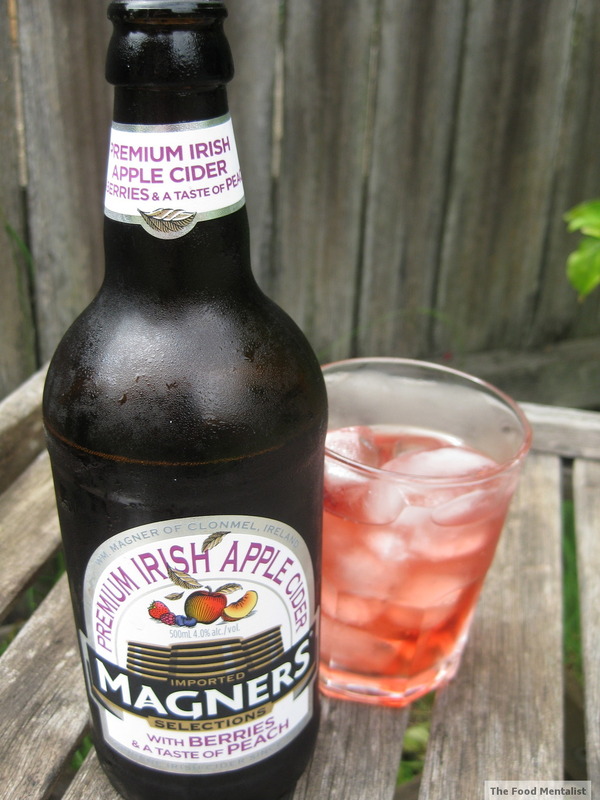 The sweetness of this cider is balanced nicely with the flavour of the berries, peach and apple. It's an interesting flavour profile for a cider, however it works really well. This cider is only available in 500ml bottles with 4% alcohol, providing 1.6 standard drinks per bottle. Sounds very refreshing. Keep up the great work with these Cider posts! We are really enjoying them! I love new recommendations on ciders, currently I'm hooked on rekorderlig pear cider at the moment!